Despite the odds, stage 2 of the Downtown Line has made up loss-time and completed by end 2015 in line with the nation's celebration of her golden jubilee year. A heartfelt thanks and congratulations go towards the construction team for working round the clock, especially towards the C917A and C918A team over the past 2 years. 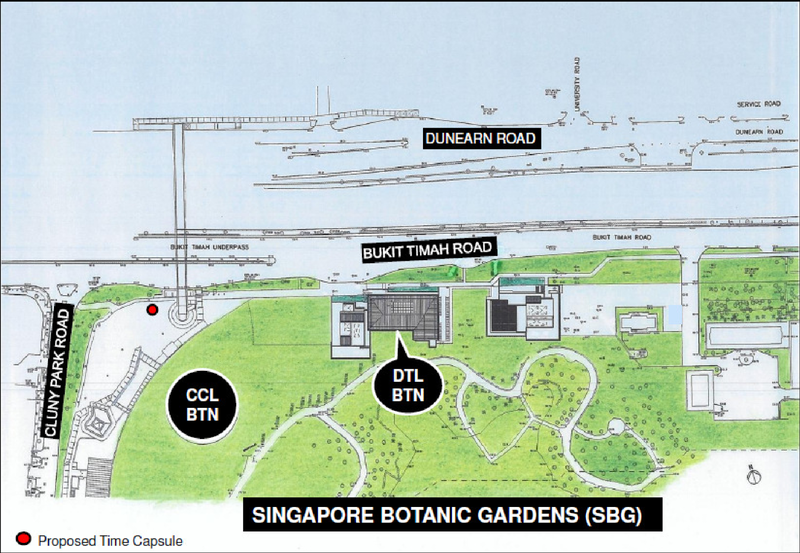 As part of the celebration of the Downtown Line 2's completion, a time capsule will be placed at the surface of the Botanic Gardens station, to be opened in 2030. The cap of the capsule will feature the design of a TBM cutterhead - a symbol of the arduous tunnelling conditions through the Bukit Timah Granite across the line. The time capsule will be commissioned by PM Lee during the opening ceremony of the DTL2 at the end of the month. Lastly, a big thank you to our readers for joining us during this memorable journey as we conclude this final update for the Downtown Line 2. Construction updates for our remaining Thomson Line site continues.